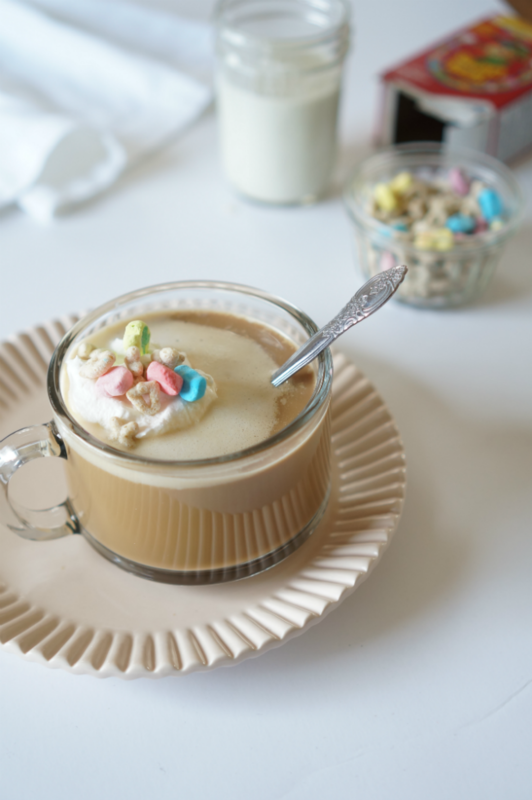 Coffee in any form is my lucky charm, so this Lucky Charms Latte is quite literal in my book. Made with Lucky Charms, it has a hint of childhood nostalgia of the milk left in the bottom of your cereal bowl. But more importantly, mixed with the glorious goodness of strong coffee, you won’t feel like you’re eating soggy cereal puffs. I don’t really even like cereal that much, but Lucky Charms are the exception; especially around St. Patrick’s Day. Plus I had to continue my streak of magically delicious treats made with my favorite cereal – like this fudge from last year (it’s seriously addicting). It’s super simple to put together and the results are worth the effort. 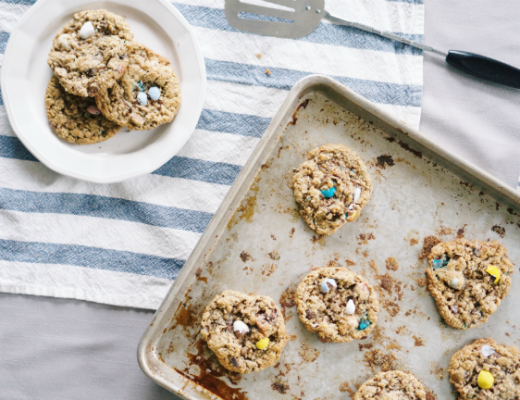 Essentially you’ll be making your own creamer flavored with Lucky Charms. Simply add the creamer to your favorite coffee and you’re set with the perfect way to celebrate St. Patrick’s Day! 1. Mix together the Lucky Charms cereal and heavy cream in a small saucepan. 2. 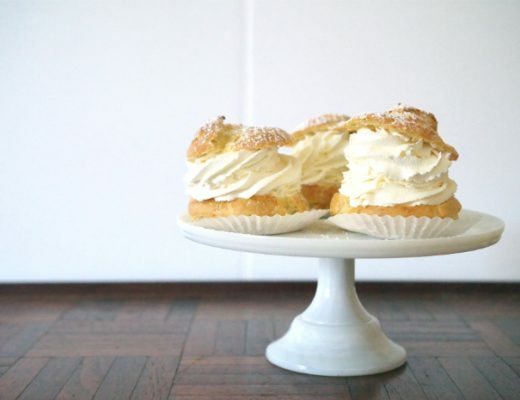 Put on low heat, never allowing the cream to get to a boil. Slowly heat until the marshmallows start to melt (approx. 10-12 min.). 3. Take off heat and strain to remove all cereal. 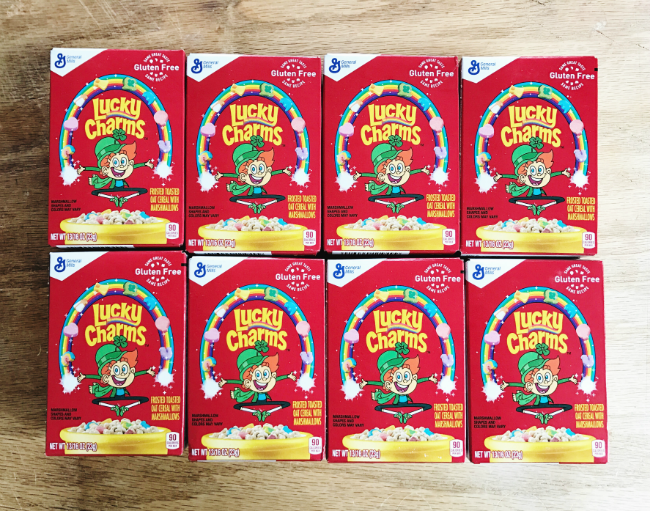 You’ll be left with the perfect Lucky Charms creamer. 4. 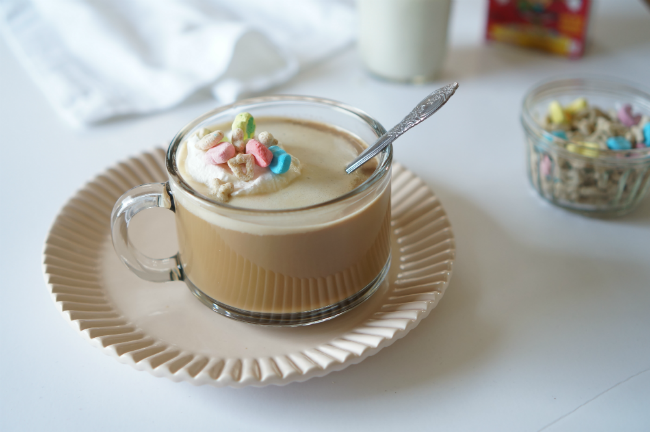 Mix your Lucky Charms cream with your coffee or espresso to your taste. Top with whipped cream and sprinkle on a handful of Lucky Charms. 5. Top with whipped cream and sprinkle on a handful of Lucky Charms. Note: You will have extra, but this can be stored in a jar for up to 5 days in the refrigerator. May the luck of the Irish be with you this St. Patty’s day! If you’re looking for something even more adult friendly, try this Cold Press Irish Coffee! Think coffee cold brewed with maple infused whiskey – seriously so delicious.